If you live in the Dearborn area, you are familiar with the abundant precipitation we receive each year. With so much water, homeowners in the area have been turning to basement waterproofing to protect their homes. With 100+ years of caring service in the Dearborn area, StayDry Waterproofing is dedicated to protecting your home and family. We know the importance of quality and consistent work. 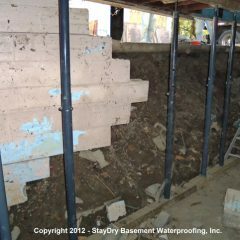 At StayDry we provide: interior and exterior basement waterproofing, crack injection repair, foundation and crawl space repair, mold control and similar services. We are so sure you’ll love our services that we offer 100% money-back guarantee on almost every service we provide. Call our friendly staff at 1-800-STAY-DRY today for your obligation-free consultation and to begin your basement waterproofing investment. In comparison to the US average, Dearborn, Michigan receives quite a bit of precipitation throughout the year. With approximately 32 inches of rainfall each year, and an above average 30 inches of snow through winter, Dearborn homes are prone to flooding and the resulting water damage. With this, basement waterproofing may be necessary to protect your home from the disastrous effects of flooding. 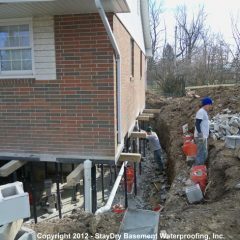 Fortunately, the experts at StayDry Waterproofing provide a wide range of services to Dearborn residents. We know the damage your home can suffer in the event of a flood, and we strive to keep Dearborn homes protected. Simply put, flooding and water damage should not be taken lightly, and your home could be at risk for such. As mentioned, Dearborn receives a significant amount of rain and snowfall throughout the year, which is in part due to the city’s close proximity to Lake St. Clair and Lake Erie. The lake effect also makes for hot, humid summers that are often filled with rain. Whereas the wet and cold winters bring above-average snowfall. Overall, Dearborn gets over 110 days of precipitation each year, which is a bit higher than the national average. All this precipitation is cause for concern within Dearborn homeowners. With heavy precipitation, Dearborn homes are susceptible to flooding. When flooding does occur, the resulting water damage can have disastrous effects on your home. First, any belongings stored in your basement could fall victim to damage. Foundation walls can also crack in the presence of moisture, which compromises the structural integrity of your home. Finally, the moisture from flooding can result in mold growth, which can have serious effects on your health. 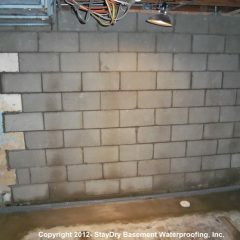 Clearly, Dearborn homeowners should consider basement waterproofing from StayDry. Basement appears to leak between 1 wall and the floor, above where it appears to be leaking is a poured concert breezeway, there is currently drywall up against wall that leaks which I will gladly tear down myself if need be to be more cost effective, please leave average cost of basement sealing, thank you! Water gathers on the sidewalk at the side of my house near my side door. Water often leaks into my home. I need drainage installed where the water is pooling, and waterproofed so that no water can get in. The problem is especially bad in the winter. 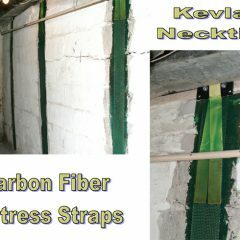 Purchased a new home with a 3 in crawl space and need to check if everything is good down there. 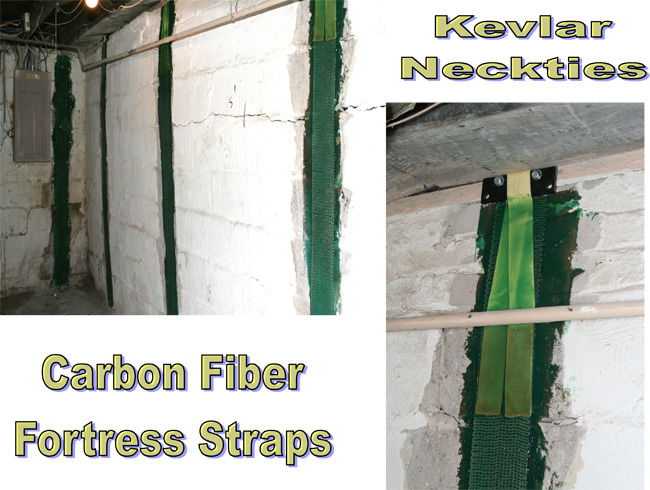 Crawl space has seeping water during the spring thaw as well as heavy rain. Cinder block walls and poured concrete floor. Musty odors as well due to the moisture. As you can see, basement flooding is not a matter to be taken lightly. Water damage can and will present disastrous effects to your home and everything within if left unrepaired. Mold growth and structural damage are common in Michigan due to the state’s proximity to the Great Lakes. 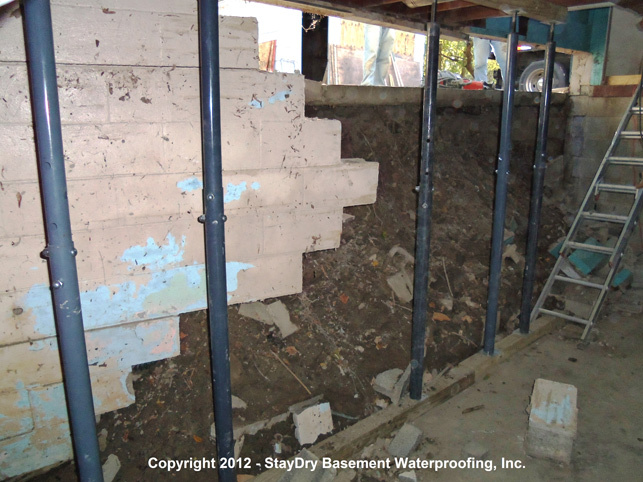 Consider hiring StayDry for our basement waterproofing services to prevent issues like these from arising. 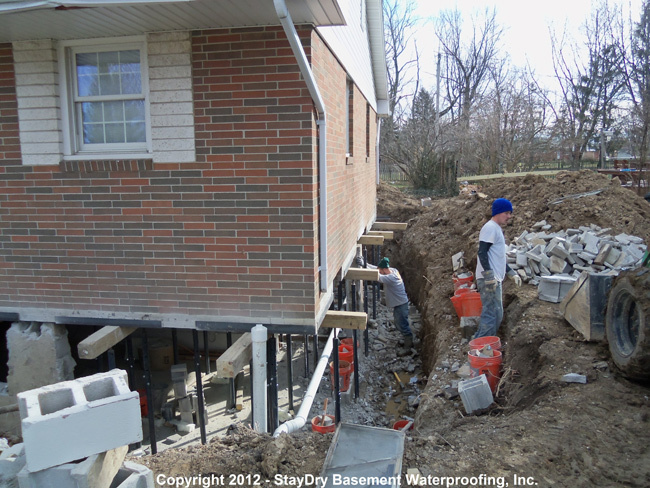 If you’d like StayDry to waterproof your basement in Dearborn, give us a call at 800-800-7073 today. Of course, you can always contact us here for a free estimate. No matter the cause, water is water, and can cause thousands of dollars of damage to your home and your possessions. Flooding ruins your belongings, but even just excess moisture in the air can cause severe problems. Dry rot occurs in areas that are too moist, and will wear down the wood in the foundation of your home if it is left to run rampant. This could sentence your home to costly repairs and foundation replacements. Excessive moisture can also cause a great deal of mold and mildew. Both are incredibly dangerous for your home and your family. They release spores into the air that travel throughout your home, triggering allergies, and even causing respiratory problems or illnesses. The very young and very old are especially vulnerable to their potential damage. Sump Pumps to move water out of and away from the home. 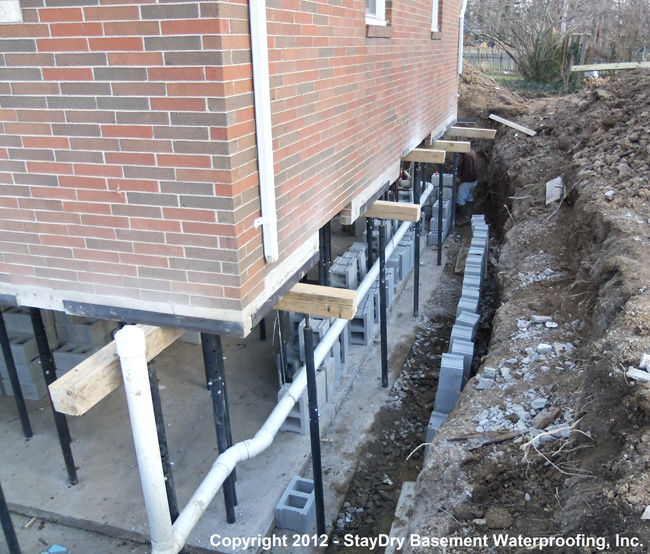 French Drain Systems to direct rainwater away so it cannot seep into the basement. Crack Injection Repair to patch holes and cracks that are letting in water. 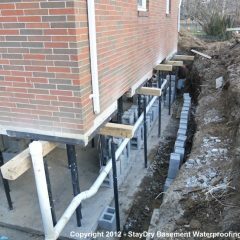 Exterior Basement Waterproofing to cover the exterior of your home’s underground basement with waterproof material to prevent water intake from the outside. 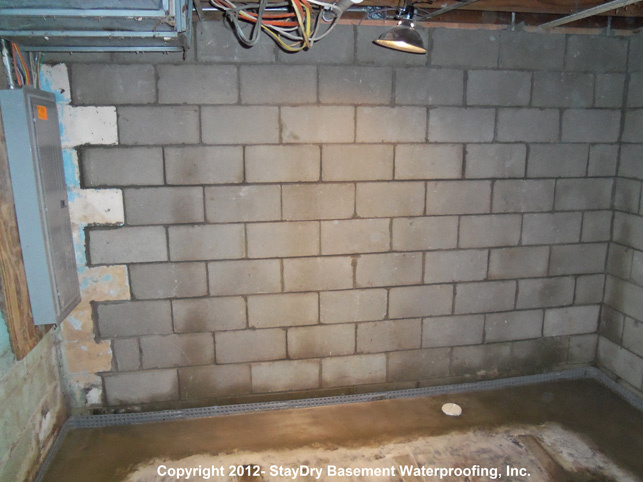 If you’d like StayDry to waterproof your basement in Dearborn, give us a call at 800-800-7073 today. Of course, you can always contact us here for a free estimate. We are also open 24/7 to take calls in case of an emergency that just can’t wait. Our team of highly trained professionals is ready and waiting to take your call whenever you need us.